SPIKES TACTICAL GEN II AMBI LOWER NIB FREE SHIPPING!!! Description: Spike's Tactical is a US manufacturer which creates high quality parts, uppers, and complete rifles. Every component is manufactured to Mil-spec standards and is backed by the Spikes Tactical lifetime warranty. 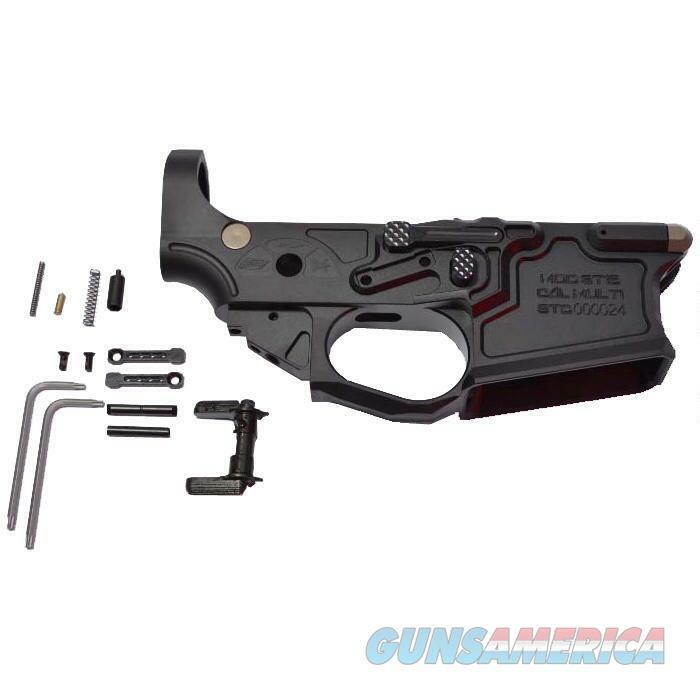 Any outstanding AR platform rifle begins with a fantastic lower receiver. The Spikes tactical Gen 2 Billet Lower is the mil-spec lower you have been impatiently waiting for! This receiver is precision machined from a solid billet of aluminum. It's engineered to exceed your expectations with features uncommon to your standard every day lower receiver. It has a Spike's ergonomically positioned enhanced controls, a receiver tensioning screw, an adjustable trigger rested screw, and an oversized winter style trigger guard. The enhanced titanium takedown pins have large heads and are dimpled for easy speedy takedown. It can be assembled without the need for a hammer and punch. A large flared magwell handles most AR15 pattern magazines including M3 PMag, the Beta C mag and the Surefire high capacity magazines. All in-spec magazines will drop free for lightning fast mag changes. Aggressive texturing throughout is both functional and looks great, with 3D chamfered surfaces for a smooth anti-snag finish. Spike's Spider Logo, markings and text are 3D machined and clean milled for excellent presentation. Precision crafted to accept all mil-spec components, the Spike's tactical Gen 2 Billet Lower is the perfect platform to begin your next AR build!